7. Scientists examine why some pilots thrive under pressure, and some crack. The SACAA are making changes to a number of important Regulations and Technical Standards with the inception of Safety Performance Monitoring, a change in the FDP limits and CAMO being just three of them. CAASA along with its affiliates and the SACAA are meeting regularly to ensure that the new SARPS will prove to be workable. With the high temperatures and density altitude we are experiencing up here on the high veldt everyone is reminded to stay alert and safe. Chronic Unease is the opposite of complacency. It is a concept that has long been part of the Safety Management Systems of organisations with high performing safety cultures. The reason it is not well known in most organisations is because most organisations are spending most of their safety effort investigating and managing incidents and/or establishing processes and procedures to achieve a good safety performance. It is most appropriate to focus on these aspects of safety, but to include the concept and training around "chronic unease" early on in the establishment of safety systems will get a better safety performance quicker. Industries and companies with high performing safety performances, generally have a culture where complacency is avoided. Unless you do, complacency leads you into a false sense of security. For example, I have worked for a company that struggled to get incidents under control, but we did with a significant culture change program. At the same time, we were changing the safety systems and procedures to provide better controls, we trained people in the new procedures and expectations and we got a significantly improved safety result. This was principally because the focus had been high and lots of people were out in the plant observing and challenging the processes to make sure that people were safe and that procedures were being followed and maintenance was being done on time. But as time went on and the safety results remained good, focus started to be shifted to how we could get the operations more efficient, more productive and more cost-effective. All admirable aims and rightly should be part of every business BUT, the focus on safety was less, complacency started to sneak in and there was less challenge to the norm. Incidents started to increase. "Chronic unease" is about always being uneasy, being sceptical of what you see and, especially, when things are going well, start to increasingly challenge the norm questioning where things may not be quite right and areas that, perhaps, we should investigate to see whether everything is actually being done as it should be and that the necessary controls are in place and working. � This is the time that you should start to be a bit fearful that something you're not expecting could "turn around and bite you". Complacency is one of the biggest sources of injury. Australians have a saying 'she'll be right, mate!' meaning don't worry, you don't really need to do everything as prescribed, you will get by OK without following every rule. Leaders in businesses constantly struggle to fight off complacency and get people to focus on what could go wrong to ensure that the controls and barriers in place. Remember, humans have a tendency to do as little as they can do and get away with. If it works once, they will tend to do it again but one day the holes will line up and an incident will happen. 10 Sep 18 Let 410 17 Between Juba and Yirol, South Sudan. Cost per delegate includes all training materials, refreshments and lunch. Attendees paying in cash on the day are eligible for a 10% discount. Both Recurrent CRM and Dangerous Goods Training Courses are available upon request - even at short notice. On request we also offer - Air Cargo Security (Part 108), Health and Safety (Medical), Cargo and Warehouse Security, Risk Management & Investigations, First Aid and the Law, NEW - Maintenance Reliability Programme & NEW - Maintenance Management. The National Transportation Safety Board (NTSB) is calling on the FAA to require installation of alert systems on all aircraft that would warn pilots flying into primary airports that their aircraft are not lined up with a runway surface or the intended runway. The recommendation stemmed from the July 7, 2017 incident in which an Air Canada A320 lined up on a parallel taxiway while on approach into San Francisco. The crew initiated a go-around but had come within 100 feet of one aircraft lined up on the taxiway and 60 feet of another. As a result, the NTSB found that "flight safety would be enhanced if airplanes landing at primary airports within Class B and C airspace were equipped with a cockpit system that provided flight crews with positional awareness information that is independent of, and dissimilar from, the current instrument landing system backup capability for navigating to a runway." However, in his first official board meeting on an aircraft accident, newly confirmed vice chairman Bruce Landsberg highlighted a need for supporting data into applying general findings on additional equipment to general aviation. The former long-time head of the AOPA Air Safety Institute, Landsberg suggested an amendment to limit the finding's threshold to 12,500 pounds. He said he believed the finding was a "bit broad" to include light general aviation in the recommendations. "Do we have data to support it? I have not seen any." But that amendment was withdrawn after facing objections from other board members. New member and long-time Senate staff member Jennifer Homendy, who joined the board about the same time as Landsberg, pointed to FAA data that 85 percent of wrong-surface landings involve general aviation and noted a need for data supporting the 12,500-pound threshold. NTSB chairman Robert Sumwalt added, "I do not believe that this agency should be concerned with a burden to the industry. 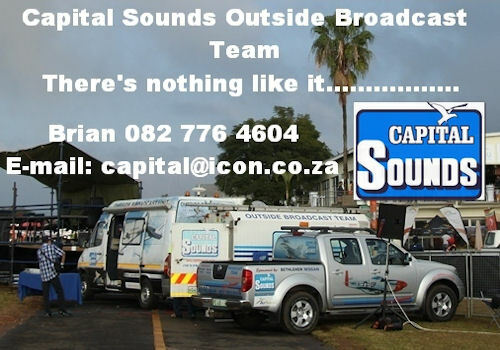 Our concern should be what are the factors in the event." A peek into the brain could help us train the pilots of the future. Every commercial pilot would prefer nothing but uneventful flights, but sometimes the things go wrong, and pilots have to both handle drastically shifting circumstances while maintaining the mental calm to process new information as it comes in. It's a lot to ask of anyone, which is why scientists at Drexel University have begun measuring the brain activity of pilots in real-time. When a person is learning a new skill, the prefrontal cortex is highly active. But as a task becomes a more learned trait, the brain is able to spread its resources out across other areas. This gives the prefrontal cortex space to breathe, so to speak, in the case of a split-second decision needed to be made. "Unfortunately, many human-machine interfaces expose users to workload extremes, diminishing the operator's attention and potentially leading to catastrophic consequences," says Hasan Ayaz, PhD, an associate research professor at Drexel, in a press release. Ayaz and co-author Fr�d�ric Dehais, of ISAE-SUPAERO in Toulouse, France have published their work in Frontiers in Human Neuroscience. Researchers split 28 pilots into two teams. One team flew in actual planes and the other that stayed in flight simulators. 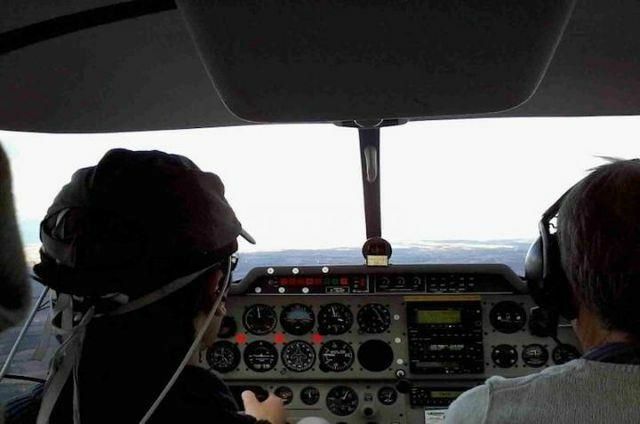 With fNIRS systems monitoring their brain activity, the pilots began a series of memorisation tests given to them by pre-recorded air traffic control instructions for flight parameters. These varied in difficulty and in how they were distributed to the pilots. The picture depicts a pilot wearing the fNIRs headband. His brain activity is being monitored on the ground by researchers. A clear trend emerged. Pilots in the real flight conditions had more errors and their brains had higher prefrontal cortex activation than the pilots in the simulator. It's a testament to how the pressure of real-time flight differs from even the most advanced simulations. But going forward, Ayaz and his co-authors on this paper hope that this fNIRS measuring system could be a first step towards understanding why some pilots are strive and others crack under pressure. 8. COMMERCIAL AIRCRAFT EVOLUTION PUTS SAFETY FIRST. When you board a commercial aircraft, stow your carry-on luggage and buckle in, you generally assume that your jet will taxi and take off safely, keep you comfortable during the flight and deliver you to your destination. This comfort with commercial air travel is no accident. Since 1914, which Space.com marked as the beginning of scheduled airline passenger service, passenger safety has been central to commercial aircraft evolution. According to the Air Safety Network (ASN), 2017 was the safest year in commercial aviation history, with just 10 fatal airline accidents and 44 airline fatalities worldwide. The New York Times reported that the April 2018 death of a passenger aboard a Southwest Airlines jet marked the first passenger fatality on a U.S. commercial airliner in more than nine years. Bureau of Transportation Statistics reveals that during that time, more than 7 billion passengers took off and landed safely. So, what's behind this remarkable safety record? It begins with a singular focus on passenger safety by commercial airlines and organisations like the Federal Aviation Administration (FAA) - the overseer of U.S. civil aviation - and the National Transportation Safety Board (NTSB), the U.S. government agency that investigates civil transportation accidents. It plays out as new aerospace technologies and processes that beef up safety in the design, operation and maintenance of commercial aircraft. "When there is an accident, it's our responsibility to get to the bottom of it in an unbiased, fully transparent fashion," said John DeLisi, director of aviation safety for the NTSB. "Our main goal is to learn the lessons from every accident and make recommendations to prevent their recurrence." DeLisi points to improved avionics, a better understanding of fuel tank dynamics, more rigorous aircraft maintenance processes and enhancements to cabin safety as examples of lessons learned from aircraft accidents. No commercial aircraft would fly today, for example, without something like Honeywell's ground proximity warning system, an aerospace technology that helps jets avoid unplanned Controlled Flights into Terrain. "This is a great example of a safety system that has helped eliminate a complete category of accidents," said DeLisi. According to Becky Sidelinger, vice president of safety systems, Honeywell Aerospace, traffic collision avoidance systems (TCAS), detailed by the National Business Aviation Association, have largely eliminated mid-air collisions between airliners. A TCAS "creates pilot awareness of all other nearby aircraft and sends directives to him on how to avoid any collisions," she explained. Increasingly a TCAS receives its positional data from GPS satellites, which enhances precision and passenger safety. Another example of aerospace technology making the skies safer, added Sidelinger, is Honeywell's smart landing systems, which notify pilots if they are flying too low, too fast or even in the wrong direction as they prepare to land. "These systems are designed to prevent aircraft from overshooting or undershooting a runway, as Asiana Airlines (Flight 214) did in July 2013 on final approach to San Francisco International Airport," she said. Passenger lives can also be at risk even if a jet never leaves the tarmac. A fire that erupts in the cabin prior to takeoff can be just as dangerous as a mid-air collision. That's why commercial aircraft evolution has included a variety of NTSB-recommended upgrades to cabin safety requirements. "Getting survivors out of a cabin quickly is an important aspect of any emergency situation," explained DeLisi. "The biggest changes in cabin safety have come from the introduction and use of fire-retardant materials on seats and internal structures such as overhead baggage compartments, walls, ceilings and cabin partitions," he added. Other examples of FAA-motivated safety features found in commercial cabins today include floor proximity emergency escape path lighting, lavatory smoke detectors and seats that protect passengers from injury when exposed to dynamic forces of up to 16Gs. So how will future jetliners compare to the 787s and A380s ferrying us around the world today? DeLisi expects to see us flying in totally autonomous commercial aircraft in a cocoon of safety, precision and great fuel economy. The new jets might be powered by electric or hybrid engines, and include more modular seating and entertainment options, but don't look for larger windows or standing seats. "The recent Southwest Airlines incident will (remind) us that a window is just a transparent piece of the fuselage designed to hold in the cabin pressure we need to breathe comfortably," DeLisi said. "It's not likely that manufacturers will be eager to sacrifice a significantly larger portion of that structure by installing large windows." And there's one more pesky, unavoidable aspect of commercial air travel: turbulence. "As smart as we are about the weather, we still want to be able to go through it and not let it disrupt our travel plans," claimed DeLisi. "Standing up is no way to experience turbulence." 9. AIRLINES WARNED AGAINST COMPLACENCY AFTER DREAM SAFETY RUN. SYDNEY (Reuters) - Global airlines, coming off a record-low accident rate in 2017, need to guard against complacency over safety as heavy growth in travel demand stretches the air transport system, industry leaders warned at a conference this week. There were no jet crashes in 2017 and 19 fatalities across the sector, while some 301 passengers have died in five crashes over just the first five months of 2018, including the first fatality on a U.S. airline since 2009. The other fatal accidents occurred in Cuba, Russia, Iran and Nepal. Alexandre de Juniac, director-general of the group of 280 airlines, called for a continued rigid focus on safety. "No arrogance in any case: (we need) humility and work," he said after IATA's three-day meeting in Sydney. With IATA forecasting passenger traffic will nearly double by 2036, there are worries over whether the industry will be able to attract and train enough capable pilots and engineers. Rising congestion in airspace and at airports, some of which are operating above capacity, and poor air traffic control are already posing challenges. A deadly plane crash in Nepal in March is a case in point. Airline and airport authorities in Kathmandu have blamed each other after the US-Bangla Airlines crash that killed 49 in what is the Himalayan nation's worst air disaster since 1992. The cause of the crash is still under investigation, but a transcript of pilot radio conversations with the ground revealed confusion over the designated runway. Aviation remains a "very, very safe industry" despite the accidents this year, but there is concern over whether systems can keep pace with future growth, said Peter Harbison, executive chairman of Sydney-based CAPA Centre for Aviation. "There are worries about having lesser-trained pilots and that creating more risk, or congested airspace, air traffic control that is not adequate to support the services going through," he said. IATA executives said new air traffic technology is one of the keys to keeping busy skies safe. "Implementing technology is expensive and difficult but it is available now," IATA's senior vice president of safety and flight operations, Gilberto Lopez Meyer, said on the side lines of the industry's biggest annual gathering. "It is allowing us to reduce separation safely," he said, referring to the ability for jets to fly closer together in a crowded airspace. IATA called for airlines to share more safety data and use predictive analytics to prevent accidents. "We are always on edge, always looking to see what we can learn, what we can improve," said Alan Joyce, outgoing chairman of the IATA and also the CEO of Qantas Airways Ltd, which has not had a hull loss since the dawn of the jet age. Although accidents are rare in air travel, with the numbers dropping over the past 15 years, they can lead to significant financial and reputational consequences. For example, Southwest Airlines expects its second-quarter unit revenue to drop by about 3 percent, hurt by lower bookings after a fatal engine blowout in April. Safety Meeting - Held On the 2nd Thursday of each month at 09.00 in the Old Customs Hall. � All operators are required to report Bird Strikes to the Airport Rescue and Fire Fighting Services or the Safety Office even if there has been no structural damage to the aircraft as a result of the strike. Safety, Security and Stakeholders Meetings are held on the second Tuesday of each month from February to November at 12.00 in the LIA Training School. � Major earthworks are being carried out during the building of a new 3 story car park across the road from the main terminal building. A decision by British Airways to introduce a direct, non-stop flight between London's Heathrow Airport and Durban's King Shaka International Airport is a game changer for KwaZulu-Natal as it will be instrumental in contributing to an increase in international arrivals from the United Kingdom and North America. � In 1968, the Boeing 747 premiered as the first wide-body "jumbo-jet" ever built and until 2007, it was the largest civilian airplane in the world. � Versions of the 747 have been famous over the years - in 1990, a pair of 747-200s began operating as Air Force One, the plane that ferries around the US president. � Today, all US airlines have retired their 747s, however the airplane will be remembered for helping to make international air travel more affordable. On September 30, 1968, the first Boeing 747 rolled out of its custom-built assembly plant in Everett, Washington. From the beginning, everything about the plane once known as the "queen of the skies" was big. It was the first wide-body "jumbo jet" ever built, involving about 50,000 construction workers, mechanics, engineers and others who took it from an idea to the air in just 16 months in the late 1960s. Until 2007 and the introduction of the Airbus A380, it was the largest civilian airplane in the world. Versions of the 747 have been used in a variety of famous ways. 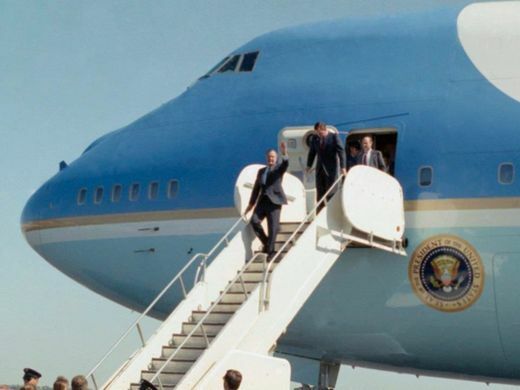 In 1990, for example, a pair of 747-200s began operating as Air Force One, the plane that ferries around the US president. Just to produce the 747, Boeing first had to erect what was and still is the largest building by volume ever constructed - big enough to hold 75 football fields or all of Disneyland. I've been researching and teaching the history of American aviation for more than a quarter-century. Even though all US airlines have retired their 747s, marking the end of an era, I believe it's worth remembering the amazing story of the airplane that helped make international air travel affordable. Boeing 747 prototype take off first flight. 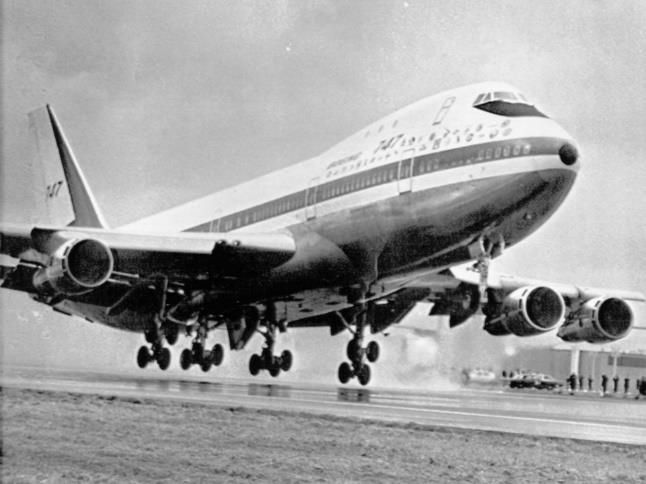 The new Boeing 747 had its first test flight on February 9, 1969. The story of the 747, like those of many other aircraft, began with a military request. In 1963, the US Air Force issued a proposal for a very large transport aircraft to carry heavier loads and have a longer range than then-existing transport aircraft such as the C-141. Although Boeing lost its bid for what is now known as the C5 Galaxy, the designs and studies that went into its proposal didn't go to waste. That's because around the same time, Juan Trippe, the hard-charging president of Pan American World Airways, wanted Boeing to build an airliner twice the size of the first-generation jet airliner, the 707. It would be "a great weapon for peace, competing with intercontinental ballistic missiles for mankind's destiny," he insisted. But at the time, it was a very risky endeavour. Many in the aviation industry - including at Boeing- believed that the future of air travel belonged to the fast, not the large. They envisioned new fleets of supersonic aircraft - such as the Concorde, which began flying in 1976 - that would make the existing subsonic flight obsolete, especially on the long routes the 747 was designed to fly. For comparison, the Concorde could make the trip from London to New York in about three hours, while a flight on a 747 (or any other subsonic commercial airliner) could take eight to 10 hours. But Boeing ploughed ahead with the project anyway. The new plane had its first test flight on February 9, 1969 and debuted to a world audience at the Paris Air Show later that summer. By the end of the year, the Federal Aviation Administration declared it airworthy, and Pan Am took delivery of its first 747 on January 15, 1970. In addition, the project's size itself almost threatened the aerospace company - and its banks - with bankruptcy because the aircraft's development required Boeing to take on $2 billion in debt, or about $20 billion in today's dollars. Fortunately for Boeing, it hedged its bets by designing the aircraft to function both as a passenger airliner and as an air freighter. It was the freighter variant that required the "hump" at the top of the fuselage to hold the cockpit so that the nose section could swing open. The 747 was - and is - probably the most easily recognisable jet airliner. While most people would have a hard time distinguishing between a Boeing 707 and a DC-8 - or pretty much any other pair of jet airliners - the 747's large size and distinctive "hump" at the front make it unmistakable. In the late 1970s, in an effort to entice more passengers, American Airlines went one step further, turning the lounge into a "piano bar" complete with a Wurlitzer organ and entertainer who led singalongs with the passengers. It "starred" in two disaster movies - "Airport 1975" and "Airport '77," not to mention several films that involved hijackings, including "Air Force One." And, of course, a 747 continues to fly around the "leader of the free world" and his entourage. In 2024, the 747-8 - possibly painted red, white and blue at President Donald Trump's request- will take over the job, with a longer range, slightly higher speed and a higher maximum takeoff weight. But Boeing has no plans to assemble another for the airlines. US airlines stopped flying 747s in 2017, and what looks to be the last passenger 747-8 went to Korean Airlines that same year. The aircraft, however, may still have a long life as a carrier of freight - UPS, for example, recently ordered 14 of them - as well as the American president, which means these icons of aviation will still fly well into the 21st century.